Size: -- Choose Size -- Girth 12-16" Girth 14-18" Girth 19-25" Girth 24-31" Girth 28-38" Girth 30-42"
This harness has reflective Velcro spots on each side of the harness. 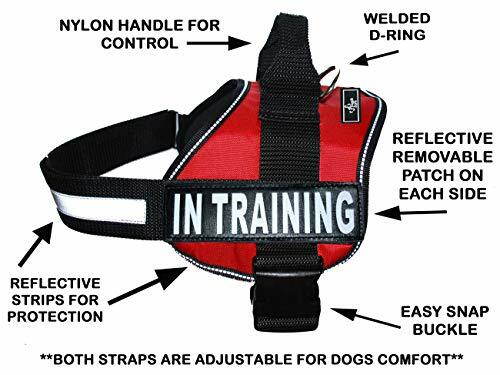 The entire chest band is reflective as well as the harnesses entire trim is reflective for your canine's safety and security. The take care of on the top gives handler added control in all circumstances. It is made with durable 2 inch nylon. The underside is made from neoprene which includes support as well as guards against abrasions like couple of materials do. A stainless steel heave task D-ring is situated in addition to the harness for simple access to your chain. The entire harness is double sewn to include strength for all tasks. 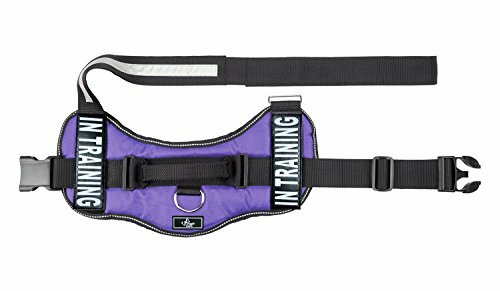 2 adjustable straps to assure customized fit especially for your canine. The 2" inch simple snap launch clasp makes this harness the easiest harness to place on as well as remove.